Is it safe to assume there’s no more snow coming our way? Let’s hope so. I get very lazy with my skincare when it’s cold, wanting to dash from fully dressed to under-the-duvet in as fast a time as possible. I don’t want to hang about the sink scrubbing and moisturising, although I know that’s exactly what I should be doing to maintain my ‘youthful glow’. Did you ever have a youthful glow? I’m not sure I did, even when young. Now it’s a bit warmer and blossoms are a-budding, I’m ready to dwell a little longer in the bathroom with my beauty routine (again, there’s no real ‘routine’). Two fabulous brands have come to my attention in recent weeks, one old and one new. 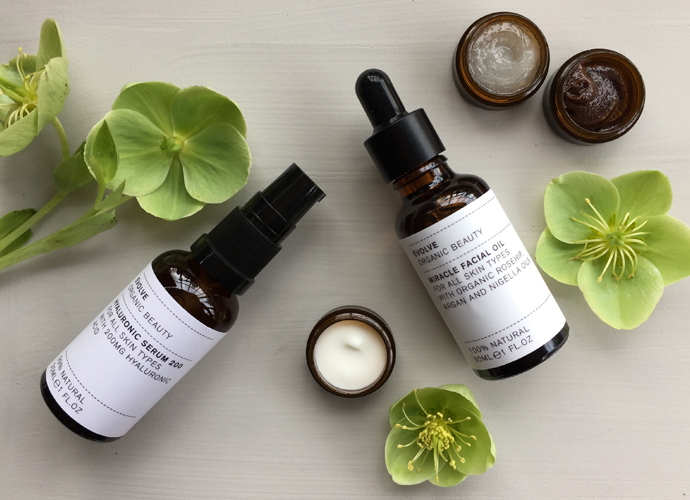 The new Evolve skincare brand is made in Hertfordshire in small batches from natural ingredients, which ticks quite a few boxes from the start. I was really taken with the Gentle Cleansing Melt, a soft buttery paste which smooths easily over the skin and is made from baobab oil which soothes and hydrates as it melts away the dirt. The Daily Renew Face Cream has a similarly gentle touch, it’s a lovely consistency to apply and made me dewy-skinned – albeit briefly- after applying it. The Hyaluronic Serum – you should all be using hyaluronic serum BTW, it does wonders for plumping up the skin – is a very good one and the Miracle Facial Oil is particularly recommended for older skin, mine lapped it up. it all smells divinely – but gently – of rose, too. It was only when I came to research the brand after testing it and thoroughly loving it that I discovered the range won the 2018 Beauty Shortlist Award for Best Natural/Organic UK Skincare Brand award. Better still, it’s not stupidly expensive, starting at around £20- the Hyaluronic Serum starts at £12. 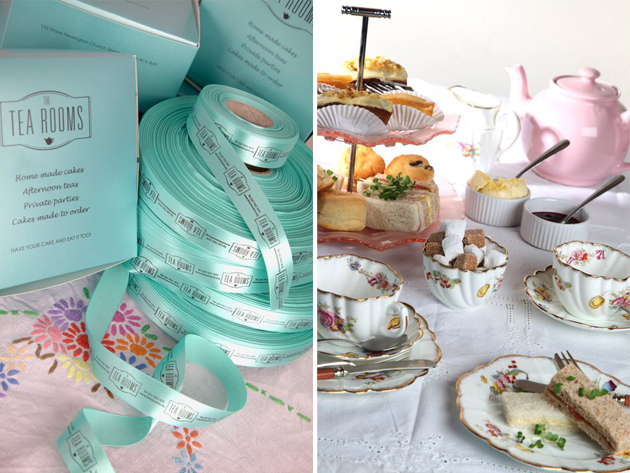 It’s a lovely new find and one I’d definitely buy – I was gifted these samples to try. I’m looking at the body care range for when the sun really does come out and more of my winter-blasted skin will be on show. While we’re on those Beauty Shortlist Awards, it was lovely to see MV Organic Skincare win for Best Natural /Organic Skincare Brand Australia, you may remember we found Sharon’s fabulous brand waaay back here, her range is equally glorious, which regular readers will already know. And then there’s old favourite Neal’s Yard, where a sweet PR (I’m guessing she’s under 30 years old) contacted us to know if we knew about the brand at all? I had to hold back from giving the poor girl a monologue on how we not only knew about it, but watched as Romy Fraser (the original founder) practically change the face of natural and organic skincare in the UK back in the day. We are both fans of the brand, but had drifted away recently, for no particular reason other than there’s such a lot of choice around now. 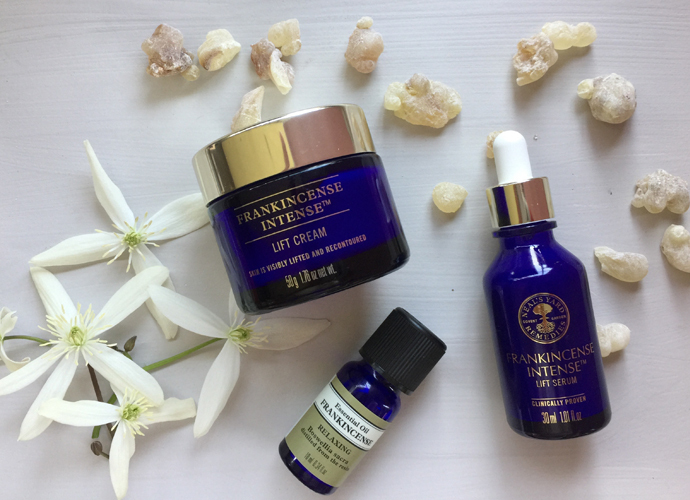 We were sent the Frankincense range to try, which has been wonderfully revved up since I used it last, you may have tried the award winning Frankincense Nourishing Cream which has been around for a while. Now there’s a really excellent Intense Lift Serum, which plumps and softens, to use under the Frankincense Intense Lift Cream. I really loved these two used together, they worked wonders on my skin, which feels like it’s been coated in something silky and smooth. They are a little pricier but definitely worth IMHO. The gentle scent of frankincense is also a winner for me, apparently it has calming and grounding properties and we all need more of that. Previous articlePatternity at John Lewis: One For The Yogis. Ooh just reading that is making my skin hungry! They all sound lovely. Are Tea Rooms the new Community Centre? Tea Rooms have been popular in the uk for hundreds of years, with Thomas Twinning opening the first one on the Strand, in 1706….